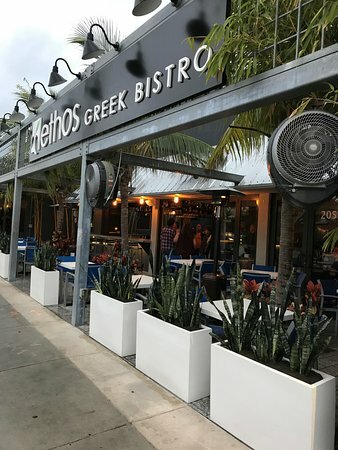 « Friday Dinner Night (Instead of Movie): ETHOS GREEK BISTRO, Wilton Manors, 6:30. SEE MENU BELOW. By popular request from several group members, we are having a Friday Dinner Night on The Drive. Afterwards, we can stroll down The Drive for a drink…or two. Friends Welcome. 6:30 PM to ensure a table. This a fun place. Certified Angus Beef® served with a green peppercorn mushroom sauce.